Don’t ever try to accomplish ANYTHING without first sowing the seed. It is impossible to reap a harvest without the seed of faith being sown." Don’t miss the opportunity to sow your seed today so You too can Reap Your Harvest soon and it be greater than what you sowed. God is is a loving God and wants to bless you with a great harvest. We want to make you this special offer today. 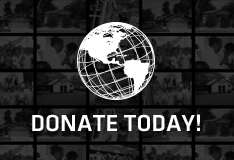 By clicking on the "Donate Online Today" button, selecting "become a partner" and sowing a seed of $20 or more, you will become a partner with World Covenant Ministries and receive the 3-Day "Life Changers Crusade" DVD as a token of our covenant partnership.